Angotti & Straface Attorneys at Law L.C. in Morgantown represents West Virginia property owners who have suffered damages as a result of water runoff from storm water overflow and related unnatural water diversion. When unexpected water intrusion occurs on your property, it can create serious damage to your structure, landscaping, and other valuable features. If a new or increased flow of runoff water onto your property has created flooding, erosion, structural cracks, collapse, or other significant damage, our law firm will represent your interests, help you resolve the situation, and secure complete compensation for your losses. Residential and commercial development may result in changes to the natural hydrologic cycle, which affects surface runoff in a variety of ways. 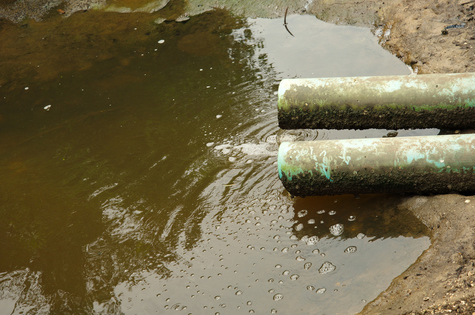 In most cases, interference with the existing environmental conditions results in increased stormwater runoff. If this greater quantity of surface water is not properly routed to an adequate storm drainage system, it will typically follow the path of least resistance (usually onto a nearby property). Vegetation and soil are capable of absorbing and handling massive quantities of rainfall. When these materials are removed and replaced with buildings, structures, parking lots, and other paved areas, the stormwater is unable to be absorbed. The resultant runoff water may cause surface and structural flooding for properties located downstream. Our law firm protects your right to enjoy your property. If runoff water is creating a problem on your land, let us assist you. Can Water Runoff Be Contained? Many options exist to contain surface water runoff during and following construction projects. Some of the structures that can be considered include: ditches, channels, absorption areas, retention basins, planned wetlands, storage tanks, and culverts designed to mitigate increased surface runoff. Municipal stormwater management plans and engineers should be consulted by developers before any construction begins. If negligence is found, the liable party or parties are responsible for restoring your property and compensating you for any damages that they created. Angotti & Straface offers a free initial case evaluation. Contact us by calling: (304) 292-4381.